An official of the Cyprus Banks Association said that its members will study the ruling and assess anew the situation. 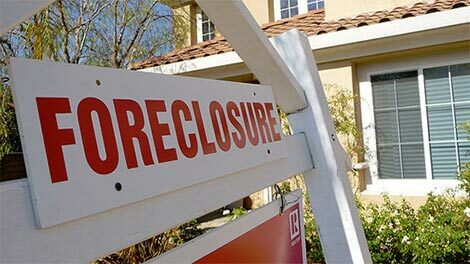 As the ruling was issued at the first instance, he continued, “it does not constitute precedence for similar cases” and neither cancels “foreclosure procedures”. Last year, the bank announced its intention to test the new, modernised as part of Cyprus’ bailout terms in 2014 before coming into force in August 2015, by foreclosing properties for which courts already issued rulings. Since the start of foreclosures in June, success was disappointing as only a fraction of the real properties foreclosed found a buyer. It happens all the time!!! Ripped off peoples deposits, now, ripping off homes, what next??? I thankfully have my title deeds and can sleep at night.I feel sorry for everybody still in limbo with the highs and lows of the legislation changes. The common factor throughout are lawyers and bankers, the very people who caused the trouble in the first place. Through their lack of due diligence and greed they made a mess and now they are being paid again to tidy it up . This would not be tolerated in any civilised country!! Most banking procedures in Cyprus have NOT been fair and legal. The banks have been acting unreasonably, the law has reflected this by FORBIDDING them from seizing property based in erroneous contracts. The best course of action for anyone affected would be to object to the interest and charges and DEMAND a much lower settlement figure. It’s the quote from the Representative of the Borrowers Group Costas Melas that caught my eye. “the banks could still foreclose properties based on existing orders, issued before the new, unpopular law came into effect”. Does he mean that this was the situation before this case ruling? Clear as mud methinks. Ed: It is unclear – we’ll have to wait for developments. Am I missing something here? I thought that the “trapped buyers law” had already forbidden banks to foreclose on properties that had been paid for regardless of prior court rulings. This article would indicate that the banks can still foreclose on properties subject to previous court rulings. Ed: This ruling applies to court orders that had been granted before the new foreclosure law came in effect last year. Can they, Cant they ????. What a mess. It was always going to be difficult to foreclose and sell a property that was in negative equity and still didn’t have title. There would also be the small matter of specific performance registered in favour of the buyer. If such a property came on the market I wouldn’t touch it with a bargepole. No wonder only a fraction have sold. This is going to roll on and on until such a time that the property would have dropped to pieces. If the bank told me they were going to foreclose on my property then I would just walk away from it and let it rot.